So Loverly: What's your number, blush baby? What's your number, blush baby? In my daily makeup routine, blush is the one essential item I cannot do without. I may be in a blurry haze flying out the door (because we all know that that five minutes of extra sleep is necessary), and there will only be time for the very bare minimum makeup. But blush will be there. Blush, applied well, can do a myriad of magic tricks. It can make your face look slimmer, brighter, it can give you an amazing complexion (nevermind if you haven't had any decent sleep in months), and it can make you look like you're in the pink of health. Nevermind again that you might have been having that flu bug since who-knows-when. Put on that blush, and you'll be glowing like no tomorrow. Talk about faking it. So anyhoo, I've since gotten counting to see how many blushers I've somehow accumulated over the last couple of years. It's always good to do some stock-keeping, no? And the total tally freaked even me out. A little bit. My number's a big fat round 8-0. So spit it out. What's your number? you must be kidding! i got about... 20 or 30? LOL! 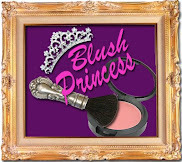 blush princess is just the right title for you! :P maybe, blush fiend would be even better? Girl, that is insane! How often do you use all of them? Oh, and I think my number is about 10? But a good half are mineral samples. OMG! eighty???!!!! u can easily setup a blush store already! i think i have like....10 only? I have about 30ish i think?? i've been soloverly's silent reader for quite some time now, and enjoy all your rants!! I have less than 10. Do u want to sell some? I'd ask you to prove it, but since I've actually seen this famed blush collection for myself, I will hold my peace. I have...um...5. Whoopee. And 4 stains. 80 is a staggering number! You ARE the quintessential blush queen! Hello girls! Sorry for the late reply. Was away on a short trip to Hong Kong with Kahani and had only gotten home very late last night. Thank you all for your comments. And yes, 80 IS an insane number, no? I don't quite believe it myself, but I did count. when can I come to your place?